AMES, Iowa -- Children who are already more impulsive or have attention problems tend to spend more time playing video games than other children, which subsequently may compound their attention problems. 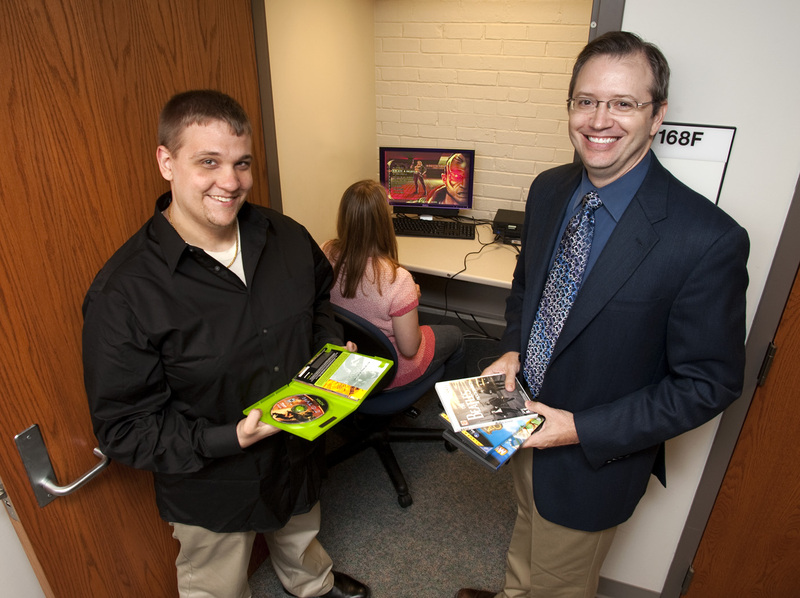 That's according to a new longitudinal study led by two Iowa State University researchers, published this week by the American Psychological Association in its debut issue of the Psychology of Popular Media Culture journal. Douglas Gentile, an associate professor of psychology at Iowa State; and Edward Swing, an ISU psychology doctoral candidate, worked with researchers from the Institute of Mental Health and National Institute of Education in Singapore on the study. They examined video-game playing as it relates to attention problems and impulsiveness in a sample of 3,034 children and adolescents from Singapore, measured over three years. The ISU researchers say their findings raise concern about the potential for video games contributing to further attention problems. "I've had numerous parents come up to me and tell me that their child has ADHD and the only thing they could focus on for two hours at a time is video games," said Gentile, who runs the Media Research Lab at Iowa State. "And I would wonder to myself whether that was a good thing or not. This study begins to answer that question, and it looks as if it's not going to help your children in the long run." "Parents might think that playing video games makes their child [with attention problems] more manageable or even helps them focus their attention, but that may be at the expense of their behavior in other situations," Swing added. "Maybe in the classroom, they're [the child] not getting that same kind of stimulation and excitement, so they can't function as well. Or by spending so much time playing video games, some children may miss out on opportunities to develop sustained, focused attention that they need in school." Researchers collected data from the sample children, ages 8 to 17 years old, at 12 schools in Singapore. The children provided information about their video-game playing habits by completing questionnaires in their classrooms at three intervals -- each a year apart starting in grades three, four, seven and eight. They also completed psychological tests commonly used to measure attention and impulsiveness. The authors defined attention problems as having a difficult time engaging in or sustaining behavior to reach a goal. They note that while previous research found that playing video games can improve visual attention for rapid and accurate recognition of information from the environment, that doesn't help a child's attention in some settings. "In most video games or with most screen media, there is constant flickering of light which forces an orienting response," Gentile said. "There are also sound effects and noises, and you need to attend to them, too. I think of these as crutches for attention -- they support your attention so you don't have to work hard to attend. "That's very different than being in the classroom where the teacher doesn't have sound effects, lighting, special effects, music and camera angles," he continued. "The child has to work to attend rather than having external support for attention. Our data suggest that the children who already are most at risk for attention problems play the most games, which becomes a vicious cycle." Although the study indicated that playing violent video games can also be linked to greater impulsivity and attention problems, the overall amount of time spent playing any type of video game proved to be a greater factor. This was the case regardless of a child's gender, race or socioeconomic status. Gentile says the study's results should make parents more aware of their children's screen time. "The good news is, when the teacher or school counselor calls you and says, 'Your child is having problems paying attention,' this gives you a first step before having to medicate your child," he said. "Instead, you can look at your child's media habits and really reduce the time to the level recommended by the American Academy of Pediatrics -- even less time for children with existing attention problems." The American Academy of Pediatrics recommends one hour per day of total media screen time (including TV, DVDs, video games, Internet, iPad, etc.) for children in elementary school, and two hours for children in secondary school. Gentile says U.S. children currently average more than six hours of screen time per day. Children who are already more impulsive or have attention problems tend to spend more time playing video games than other children, which subsequently may compound their attention problems. That's according to a new longitudinal study led by Douglas Gentile, an associate professor of psychology at Iowa State; and Edward Swing, an ISU psychology doctoral candidate, and published this week by the American Psychological Association in its debut issue of the Psychology of Popular Media Culture journal. "I've had numerous parents come up to me and tell me that their child has ADHD and the only thing they could focus on for two hours at a time is video games. And I would wonder to myself whether that was a good thing or not. This study begins to answer that question, and it looks as if it's not going to help your children in the long run."